Those who know me know I love to try new beauty products. 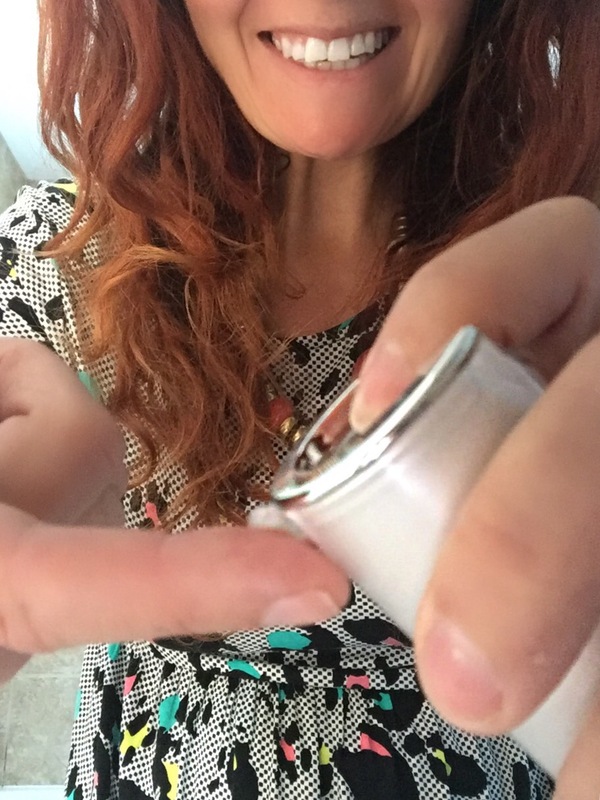 Part of my blog tagline is ‘here to prove you can be 40 and still look great’ but that takes work…and great beauty products! 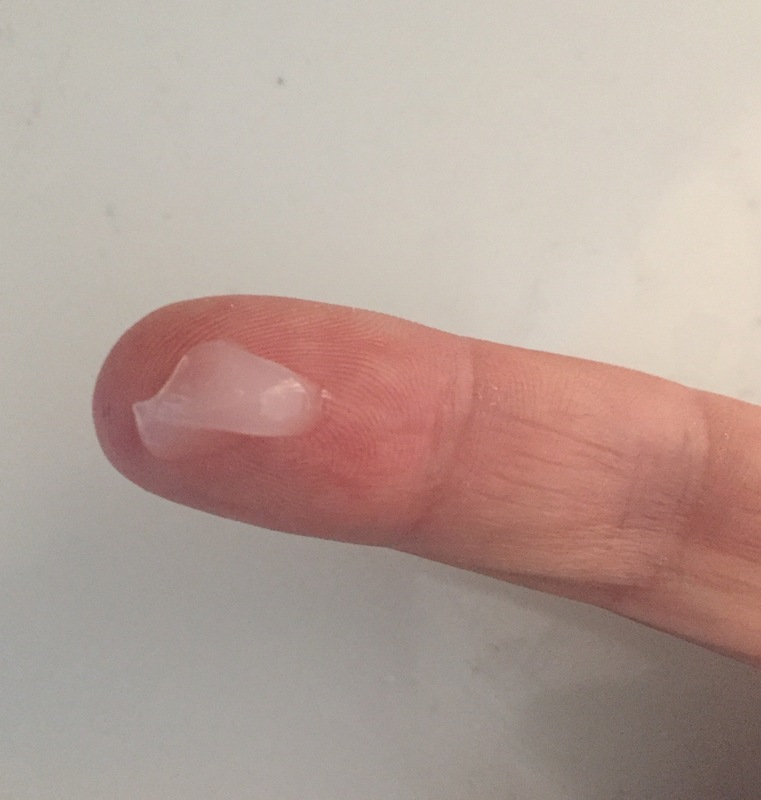 I had heard quite a bit about certain ‘wonder products’ that had originally come from Korean beauty ideas so when Skin Chemists sent me their Advanced Snail Eye Serum* I was pretty excited! “Snail?! ?” I hear you say. 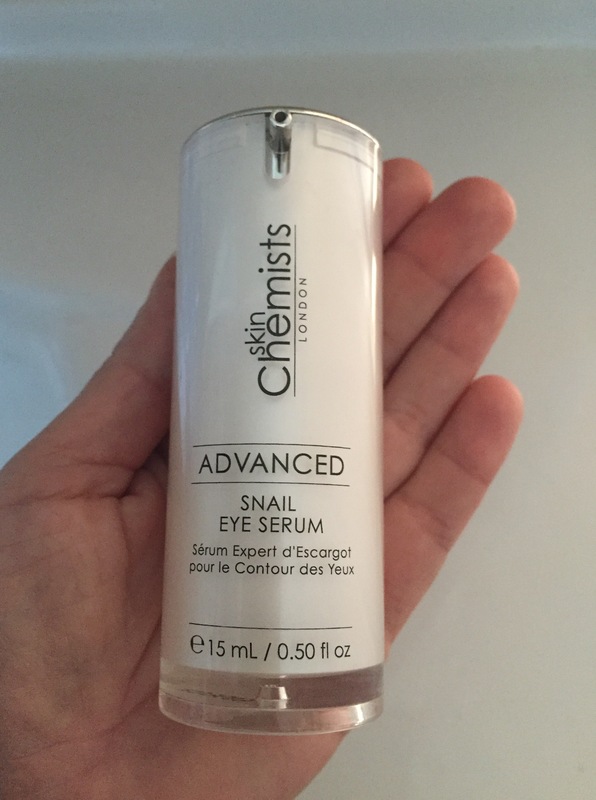 Yes, this eye serum has snail secretions in it! Never one to back down from trying something that could make me look younger I dived straight in. So firstly what does Skin Chemists say about this wonder product? Ok sounds interesting…so what did I think? Firstly the product looks great. It is in an easy to use pump action bottle that delivers just the right amount of serum for use. Secondly, it smells divine. It goes on easily and leaves no residue which is great as it means you can put make up over it if you use it in the morning (the instructions suggest morning and night applications for best results). 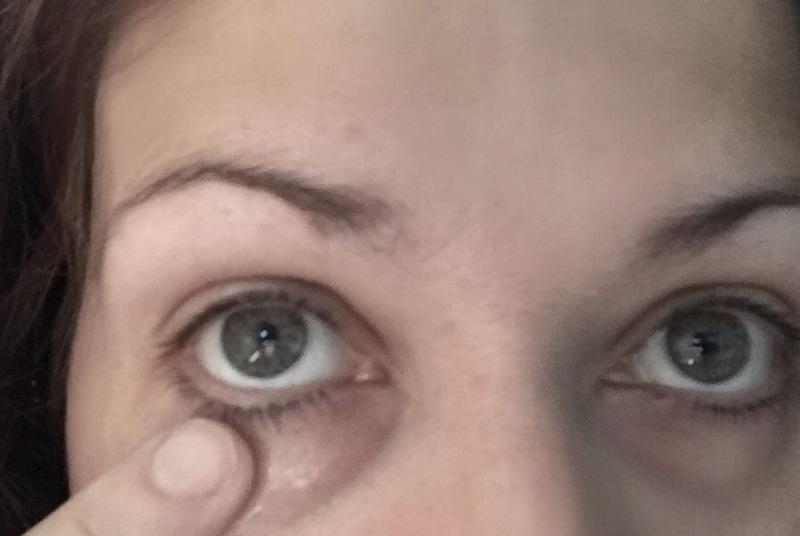 The instructions said to apply using your ring finger for a very light application but I just very gently applied it around my eyes using my index finger concentrating on the lower area (where those pesky bags/shadows are). As you can see from the photo below I have noticable shadows below my eyes without make-up. And after about 2/3 weeks of use? 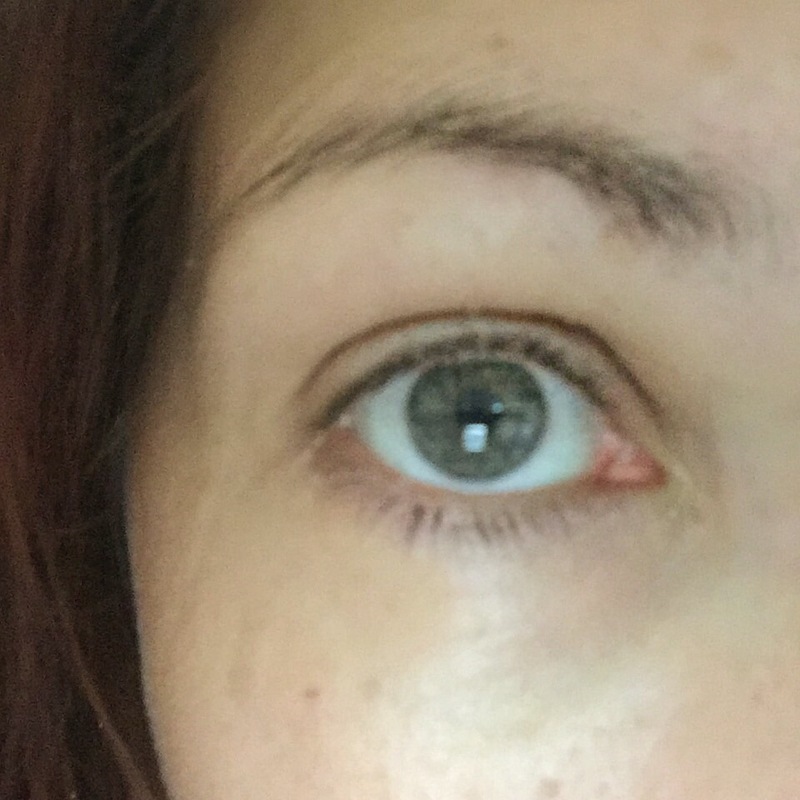 Well the first thing I noticed was my under-eyes are looking brighter and plumper. Its always hard to show differences in photos due to differences in light etc but I definitely can see a difference. The hollows of my eyes look less and the skin seems more luminous. I dont have a lot of lines on my face yet so can’t comment on if it helps fine lines but the few I have havent got any worse and I can imagine this product would keep it that way. And finally – would I recommend? Yes I would. This is a premium product with a price tag to match but it does make a noticable difference. I used it regularly morning and night and I have definitely used less concealer since. A little goes a long way and I am looking forward to trying more of Skin Chemists wonder products. 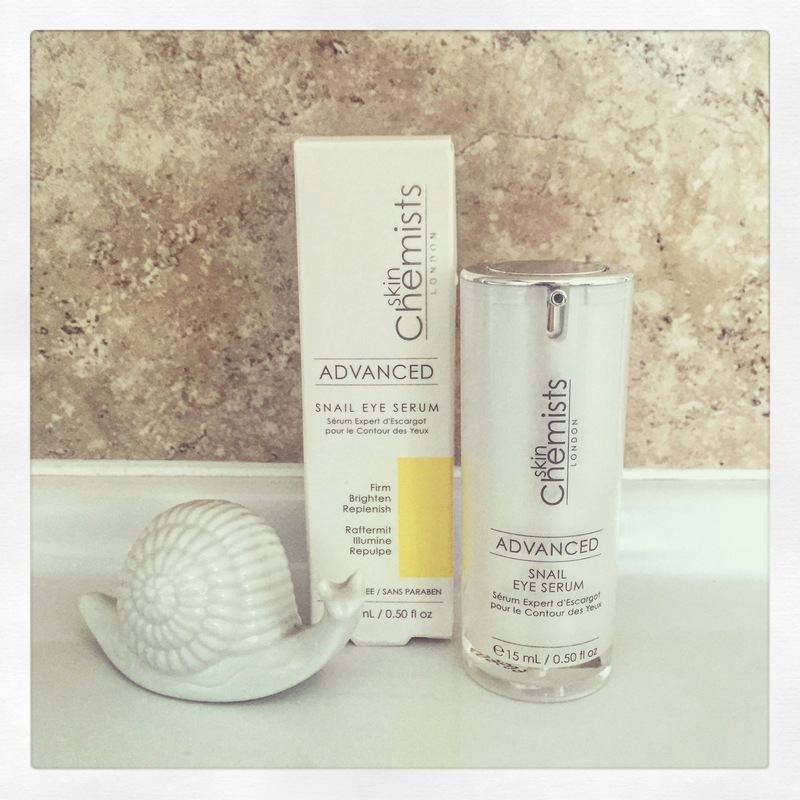 Find the full range of Skin Chemists products here. *This was a gifted item. For my disclosure statement please see here.